Pastoralism can be summarized as a type of agriculture in which the farming revolves around livestock. Pastoralists used many types of animals, such as goats, horses, camels, sheep, etc. Horses and camels were mainly used for transportation purposes but others were used as resources. Sheep provided wool and warmth during colder months of the years. Larger animals, such as cows and buffalo, were used for meat to provide the group with nutrition and food. Pastoralists were a type of nomads, but the only difference between them and previous nomadic civilizations was that their animals were domesticated. As a result of this advancement, the land inhabited was noticeably damaged. Vegetation was lost from the animals excessive dietary needs, and the environment eventually suffered from it. For example, when looking at the Middle East, it is clearly a desert. But before more advanced civilizations swept the nation, it was a diverse ecosystem with many different types of grasses and organisms. Once their environment was damaged, the pastoralists had to continue migrating to new regions in order to provide their animals with additional food supply. The cycle continued for hundreds of years, continuing the alterations of our world's ecosystems. A process of global warming began 16 thousand years ago and brought an end to the ice age. This global warming led to a change in landscape, climate, and way of life for the people of the Neolithic area. As the weather warmed around the world, the ice flows and glaciers began to melt and left behind rivers and lakes, such as the great lakes. This change in terrain would help the early farmers and was a big part in deciding where they settled. The climate also warmed, which meant that many of the plants and animals that thrived during the ice age did not survive. This change in climate gave rise to a variety of different plants, especially cereal grasses. With the changing of the landscape due to climate change, the life of the Neolithic people changed dramatically from that of a hunter-gatherer life style to that of a farmer and thus gave way to the agricultural revolution. The agricultural revolution however did not take place over a short period of time. It took the people time to make the switch to a farming life style. Since many of the animals that were being hunted during the ice age, such as the mammoth, mastodon, and woolly rhino, had died off, people were forced to eat other things, such as cows, pigs, and cereal crops. The reason that more edible plants were around, was because of the newly formed rivers and lakes which gave rise to more fertile land. 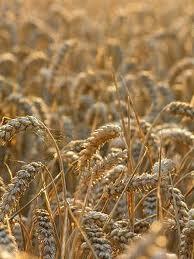 Because people began to eat more of the cereal crops, they started to travel less and stay in one place longer. When they stayed in one place for a long time, their populations began to grow and, in turn, took away their mobility. Since settlements had to maintain a stable way of life in order to accommodate their growing populations, they began to form permanent settlements or villages. This then led people to establish their villages around rivers and lakes so that they could grow enough food and effectively hunt animals for their villages without travelling off too far. Since permanent villages started being formed, the people no longer used the animals only for food and clothing. Instead, they began to domesticate them. For example, they used cows to pull plows and used horses for transportation and warfare. This domestication of animals occurred about a thousand years after. This is because by that point, the villages had enough food to not only feed themselves but also their animals. Thus, it allowed the villages to become larger and more productive, which in turn created social classes and led to the first civilizations. Without the change in the climate after the last ice age, none of these developments would have been made possible. Neolithic Revolution and Economic/Social Changes. The Neolithic Revolution led to new social and economic systems. One of the main reasons for this was in the very nature of the farms. To be able to successfully farm a piece of land, it needs a person to constantly look after it every day. This is the main cause for why people began to settle in certain areas and why civilizations started around water sources, such as rivers, because the land is suitable for farming. When people began to settle, farming created food reserves because there was more food than people could eat. An excess of food made job specialization a reality. This is because not everyone had to feed themselves, the food reserve would feed them, and could focus their abilities at learning other skills. These skills eventually turned into jobs that those who were not farmers performed in order to feed themselves. This eventually lead to the creation of social classes. The people who performed jobs besides farming for a living lived better than those who farmed because they were able to focus their attention on their job rather than feeding their families. The upper classes were made up of one chief, and high ranking religious leaders such as priests. They usually would collect taxes in the form of grains from the lower class, and thus did not themselves have to farm. Under them, there were merchants, who were seen as a middle class. They were the sales people and thus had more economical means that the lower classes consisted of farmers, who were focused on staying alive rather than making money.